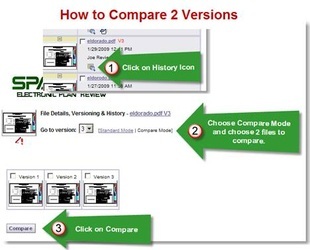 You must have at least 2 Versions of the same file to make a comparison. 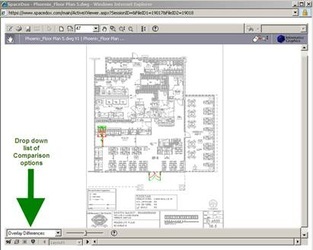 Select a file with multiple versions and click on the History icon (seen at lft) located below the file name. 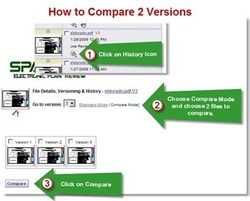 This opens another window where you can choose the versions to compare. 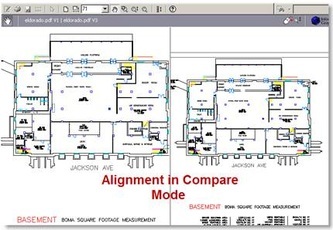 Brava™ launches in Compare mode, with side by side as the default view. You can select a variety of comparison views from the drop down list of the Compare toolbar. i.e. 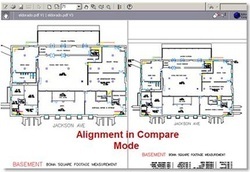 example of mismatched files shown in the "side by side" mode.